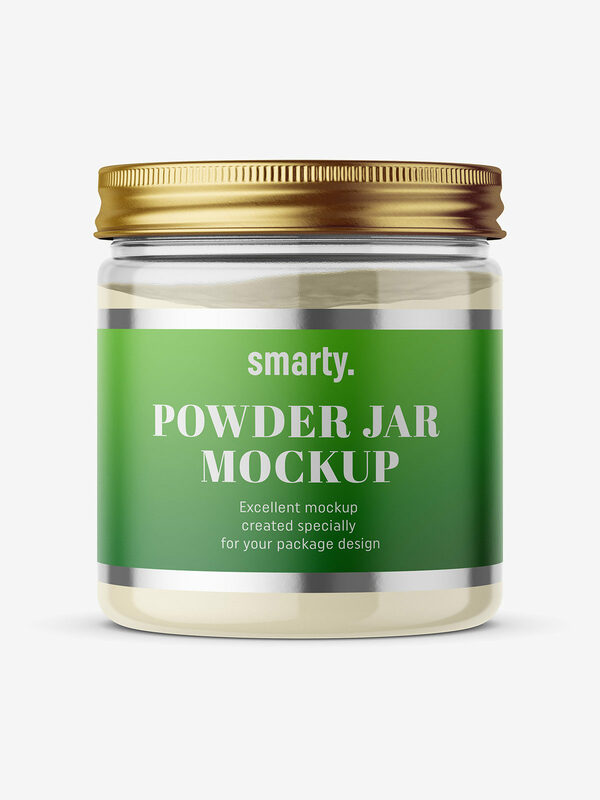 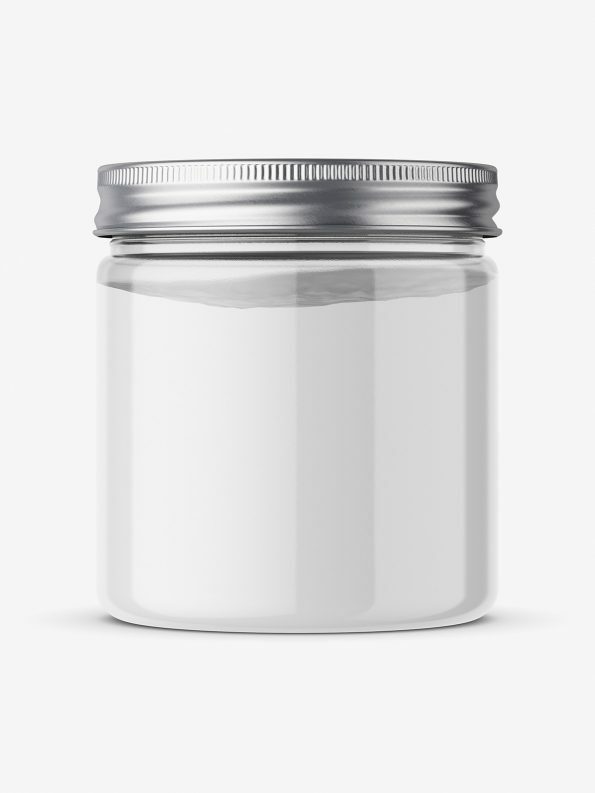 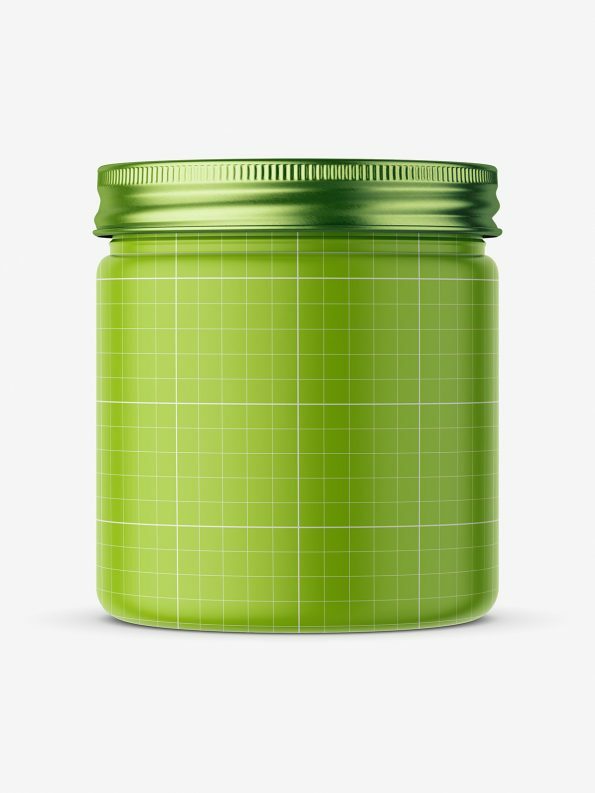 Clear jar with powder mockup. You can change powder color, as well as metallic cap color. Replacing label project is easy and can be done via Smart Object layer in PSD file.